Bone marrow transplant, also known as stem cell transplant, involves replacement of damaged or destroyed bone marrow cells with healthy ones. This procedure is carried out in patients with specific types of blood-related disorders, such as cancer, anemia and immunodeficiency syndrome. What is the cost of bone marrow transplant in India? Bone marrow transplant cost in India starts at as low as US 24000, but this rate varies with several factors. Autogenic stem cell transplant cost in India ranges from US$18,000, while allogenic bone marrow transplant in India price ranges from US$22,000. Bone marrow is a soft tissue inside the bone. It possesses stem cells (immune cells), which, in turn, help produce white blood cells (WBCs), red blood cells (RBCs) and platelets. When the stem cells get damaged or impaired, the production of new stops. As a result, a transplant of the bone marrow is conducted so that the patient regains the ability to produce blood cells. There are a number of public and private hospitals for bone marrow transplant in India with state-of-the-art medical facilities, technology and expert doctors. These hospitals and the medical staff are fully equipped to handle any kind of complications and to perform any kind of bone marrow transplant procedure, chemotherapy and radiation therapy. Patients from across the world decide to travel to India for the quality of medical services offered by the hospitals in the country and that too at affordable cost. Who are eligible for blood marrow transplant? A patient with a type of blood disorder such as any form of blood cancer (leukemia, lymphoma or myeloma), sickle cell anemia, thalassemia, aplastic anemia, severe immunodeficiency syndrome or any other form of blood disorder that result in reduced ability of the bone marrow to produce blood cells may be advised to undergo bone marrow transplant. In addition, this procedure may also be conducted in the case of patients with damaged bone marrow because of radiation and chemotherapy. Read What to Expect After a Bone Marrow Transplant? What happens before bone marrow transplant? Typically, a patient is required to undergo radiation, chemotherapy or a combination of both before bone marrow transplant. This can be done as a part of ablative treatment or as a reduced intensity treatment. Ablative treatment: In this type of procedure, either radiation or chemotherapy or a combination of both are administered to kill all cancer cells. In addition, the remaining healthy bone marrow is also killed so that new stem cells can grow in its place. Reduced intensity treatment: In this type of procedure, lower intensity chemotherapy, radiation or a combination of both are administered. This is typically carried out to prepare older patients for bone marrow transplant. Autologous bone marrow transplant: In this type, the stem cells that will be positioned in place of the damaged stem cell are taken from the body of the patient itself. 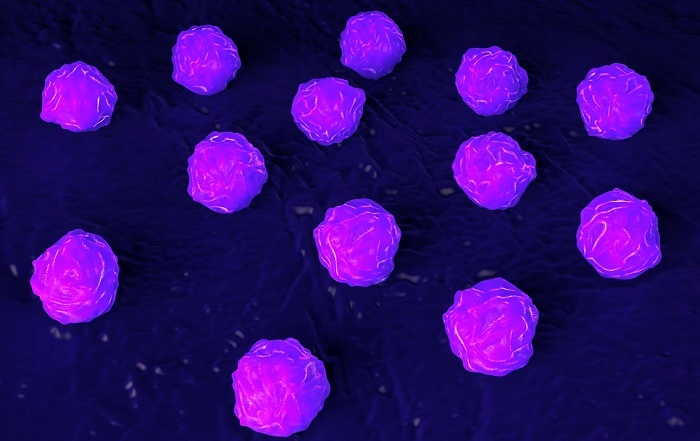 The healthy stem cells are removed from the body of the patient before giving radiation or chemotherapy. Allogenic bone marrow transplant: In this type, the donor stem cells are derived from someone else. However, a few criteria must be met before this can be done. For example, the donor must undergo certain tests to confirm that at least some percentage of DNA matches that of the patient. Typically, good matches include a close relative, a brother, sister or parents. However, sometimes someone not related may also be chosen for stem cell donation if the DNA matches. Umbilical cord blood transplant: This is a type of allogenic transplant in which the stem cells are derived from the new-born baby’s umbilical cord as soon as it is born. Since the stem cells present in the umbilical cord are still immature, there is a little need for perfect match to be made. The stem cells from the umbilical cord are stored at freezing temperatures right after birth until they are required later for transplant. Like any other procedure, there are certain side effects associated with bone marrow transplant as well. Some of the common symptoms include shortness of breath, chest pain, chills, fever, headache, nausea, flushing, hypotension and hives. Some of the rare complications include early menopause, anemia, cataracts, infection, clotting, bleeding in brain, intestines or lungs, damage to organs, inflammation, pain and problems related to the stomach. How much time does it take to recover after bone marrow transplant? It takes at least two to three months for a patient to recover after bone marrow transplant. Ideally, the patient undergoing allogenic transplant take more time to recover than those who undergo autologous transplant. The blood count of the patient typically starts to improve within 15 to 20 days after the procedure. Gradually, WBCs develop and protect against infections. Throughout the recovery period, the patient is continuously monitored for infections and overall improvement in health. Patients with allogenic transplant are required to plan more follow-up visits with the doctor, as compared to autologous transplant patients. When it comes to the cost of stem cell transplant, it is an expensive procedure. This is true at least for a majority of developed word countries, including the UK and the US. However, the cost of bone marrow transplant in India is still far less than what it costs in the developed countries. This aspect makes thousands of medical tourists travel to India each year to get the bone transplant done, which otherwise is a financially challenging procedure for them to undergo. Autogenic stem cell transplant cost in India ranges from US$ 24,000 to $30,000, while allogenic bone marrow transplant in India is priced between US$30,000 and $46,000. Thanks for the best information. My mother needs to have bone marrow transplants your post helped me a lot.